In a surprise move the City Council scraps the placeholder seal used for the Inauguration for a new one. The 6-1 vote came about during the August 22 Council Meeting. The only no vote came from Mayor Pro Tem Catherine Rowell, District 1. The resolution didn’t provide insight to why the seal is being replaced at this time. 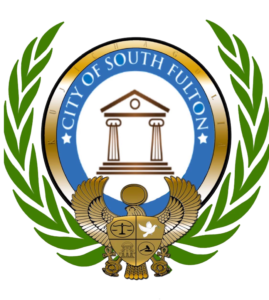 “The City of South Fulton never adopted an official seal. The seal that you may be referring to was offered as a working seal to use or adopt by the transition team, and during our stagnate period we were ultimately billed for it’s temporary use”, stated District 7 Councilman Mark Baker the sponsor of the resolution in a written Q&A. Having worked closely with the Inaugural and knowing the designer. The original seal was designed as part of a package of items specifically for the Inauguration. The City ultimately paid $1,575 for the design of the seal, the Inaugural program, option for collateral material including letterhead and business cards. Additionally, the cost included changing the City name when it took place. A number of citizens have expressed disappointment, “While I am a devout Christian I want to make certain the city doesn’t set itself up for a rash of litigation because of the all the religious symbolism. I see the dove in the crest that I suppose is also a religious symbol, symbolizing the Holy Spirit. How did they couch the presentation for this to pass?”, stated Benny Crane, former Mayoral Candidate. 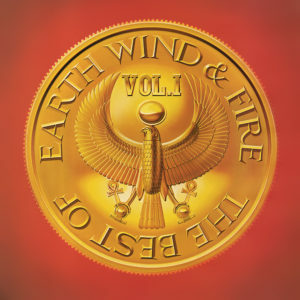 The design is striking in that it uses an overt religious symbol of the Hawk, orb and Ankh commonly associated with the Egyptian Sun god Ra, a powerful deity and central god in the Egyptian pantheon. The religious symbolisms breach the separation of church and state doctrine we have grown accustom to. “I think it looks unprofessional and amateurish. A Communication Director was just hired they should have let her develop a plan to implement a new seal with citizens input just as they are doing with the new city name. I am very disappointed that this seal passed and I let my representative know my sentiment.”, says LaShandra Little. 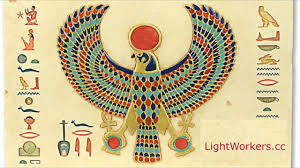 “I personally do not have a problem with the symbol of the Ankh. The challenge is when a government uses religious symbols or Egyptology symbols that lend themselves to be misconstrued by what we stand for. This isn’t just with the seal. We need to tread cautiously in all decisions as a new city. Too many people are looking for our mistakes and will make a mountain out of a molehill because they can, because we left the door open for them to. Let’s not leave ourselves open for exposure on too many fronts. 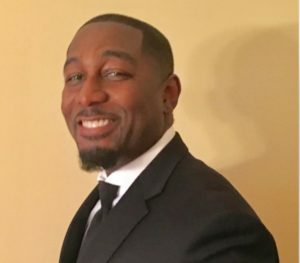 Looking at the picture above, that would include copyrighted infringement,” said Darris Rollins former District 3 candidate. “I actually do not care for the seal and I feel it will cause the city additional monies because it will have to replace the seal that they just spent a few thousand dollars on code enforcement trucks, however I believe the intention came from the right place in trying to create a cultural symbol that represents us as a people”, said Linda Pritchett former District 7 candidate. The seal could be seen as a violation of the City’s non-discrimination policies since it trumpets religion and pro-black sentiments. Not to mention it can easily be seen as a deterrent for non-blacks and pose a legal discriminatory risk to the City. The use of the Swahili term Kujichagulia – Self Determination is mostly associated with Kwanzaa which on the surface may make a statement to the long struggle of the city. The vision for our city has reach beyond looking inward to identify who we are. 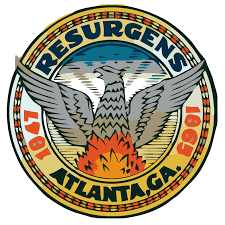 Atlanta which is considered the most dynamic black led city in the world continues to proudly display its Resurgens Phoenix rising from the ashes as it brand.Before the seal is changed there should have been a complete branding package to go along with it. The forthcoming name change will most likely necessitate further changes. I think it doesn’t really matter. Ask people in any other city what is their seal or what it means they don’t know. My only wish is that we use the neat opportunities to engage the public. People amazingly will come out to give input on things like a name and seal and not more important issues. This could have been used as a community engagement opportunity. I hope there is more involvement for the name choices.